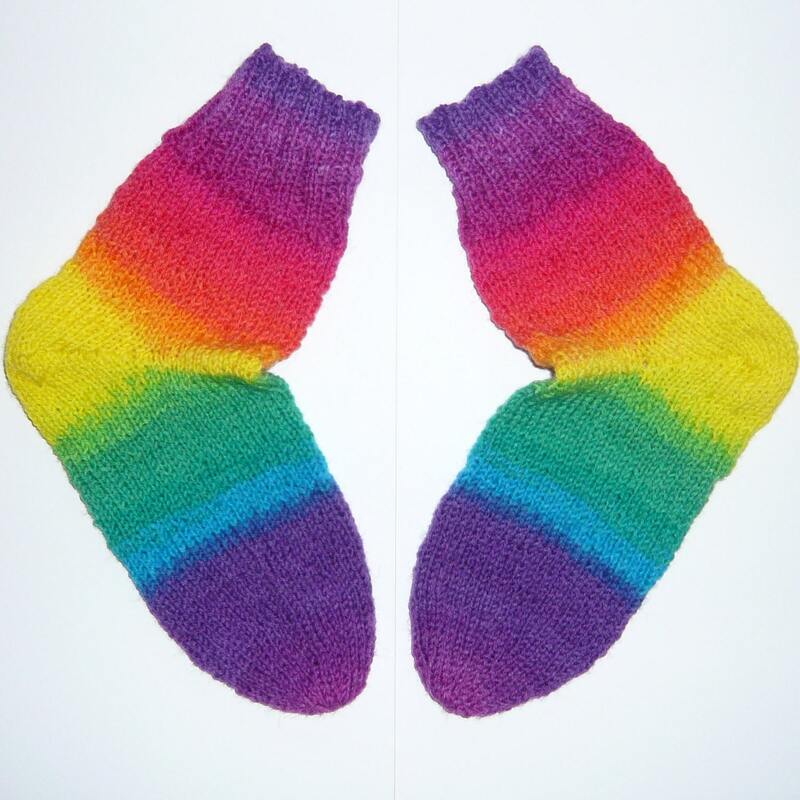 A sock pattern designed for hand dyed sock yarn! The name refers (in biology) to things that readily take up dye and I use it to mean dye-loving here. Because I love hand-dyed yarn I like to show it off at it's best: on it's own with nothing to distract from the yarny goodness and beauty! 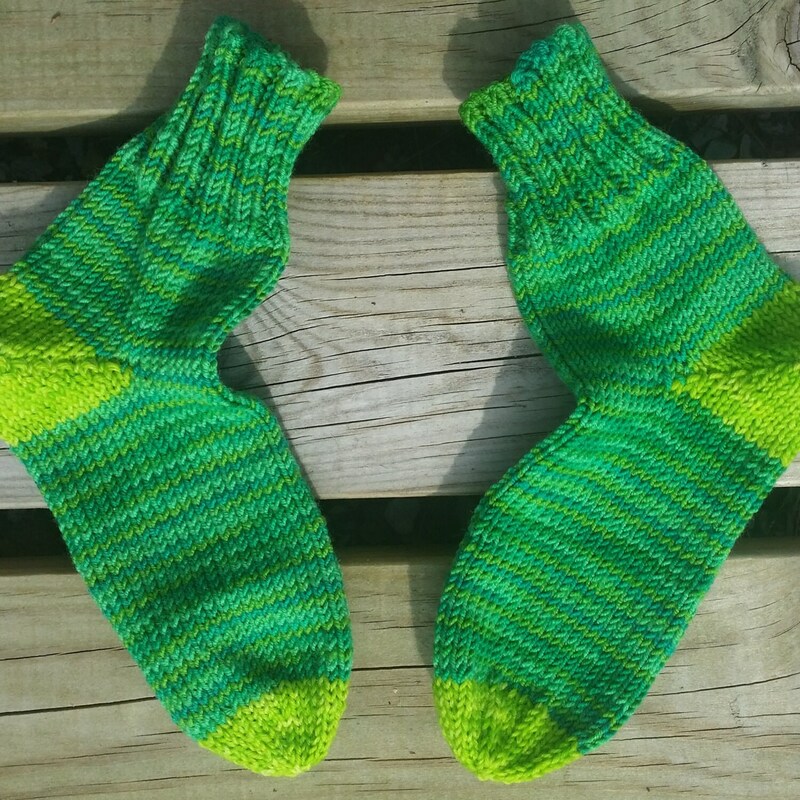 It is a simple pattern knitted top down (singly or two at a time is up to you) with an easy short row heel and simple round toe. This allows you to sit back and knit your hand dyed yarn, watching patterns, colours and pooling emerge as you go. You don’t need to worry about wraps or picking up stitches and there are no fancy stitches or patterns to compete with the beauty of your chosen yarn. The pattern is presented as written instructions in English language. You will need to be able to knit and purl in the round and back and forth. 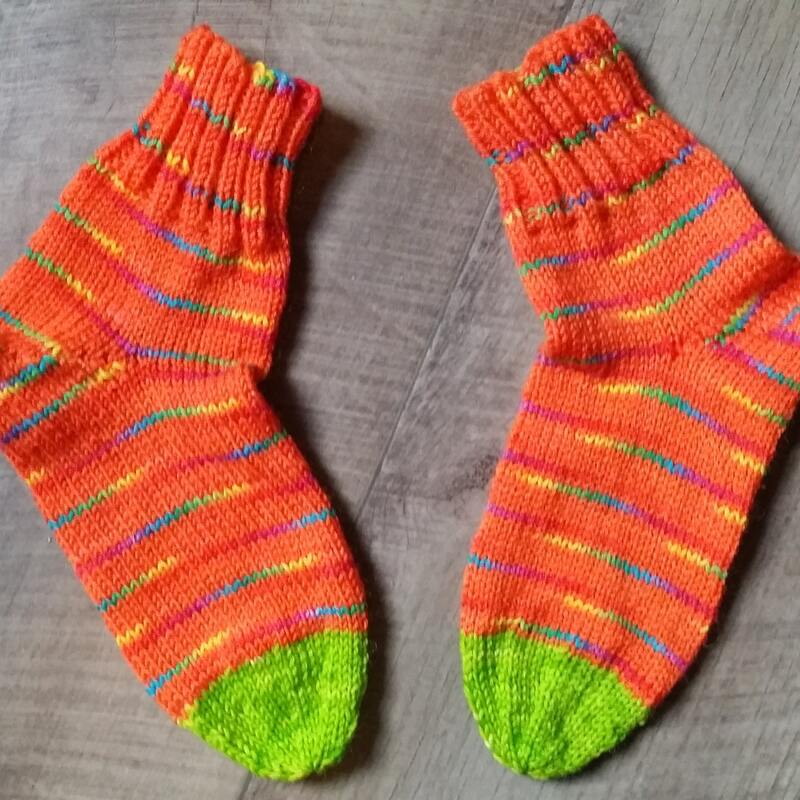 Included at the end of the pattern is a nine page step by step photo tutorial for the increases and decreases used in the heel. This shows every stage of each move for the benefit of newcomers to sock knitting but is in a separate section to avoid disruption of the flow of the pattern for those who already have the necessary skills. 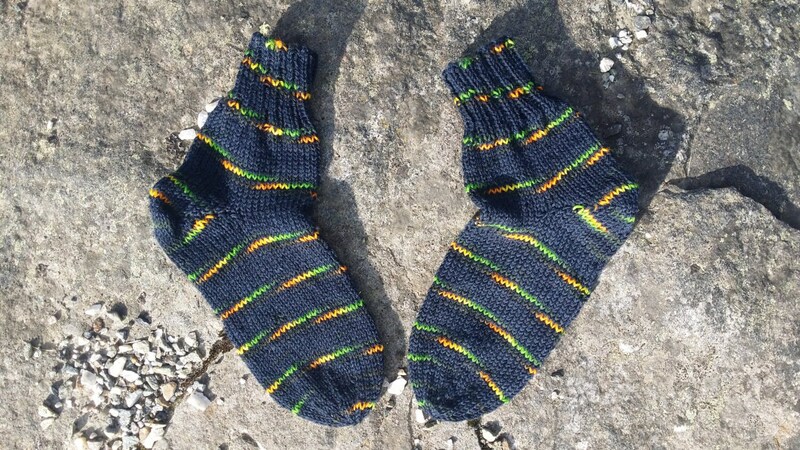 All sizes can be knitted from this pattern from baby to large adult. I offer email support and advice. 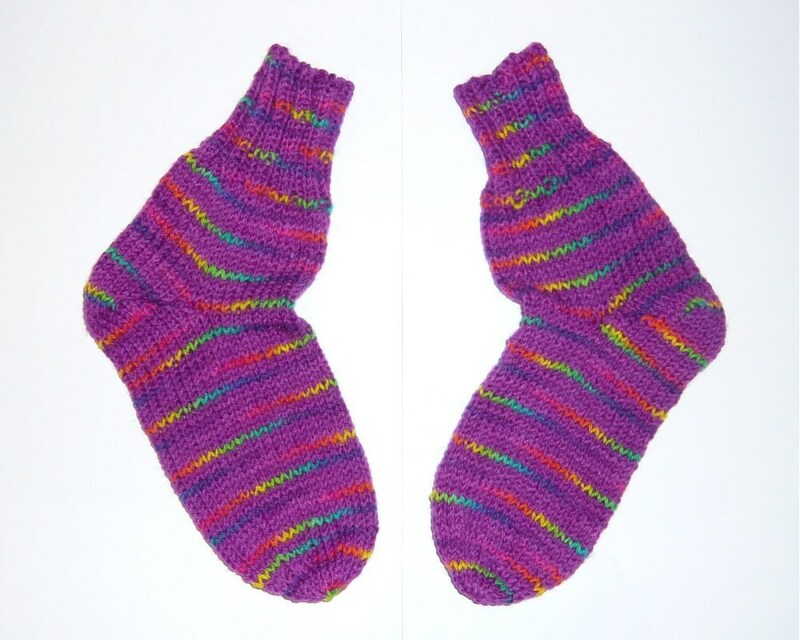 This listing is for the written pattern with photographic illustrations for you to knit the socks shown. It is supplied as an eighteen page pdf for instant download. No actual socks or yarn are included.